Most organizations have some sort of mission statement, organizational philosophy or values proposition to guide members and focus their work. When clearly articulated, these statements help keep the organization on track and pointed toward clear goals. A written leadership philosophy achieves the same thing on a personal level: it lets people know what you expect, what you value, and how you'll act, with the additional benefits of making the workplace less stressful and more productive. And, like a compass, it helps keep you, the leader, on course. You have seen leaders come and go and you've seen some succeed and others fail. Have you ever wondered what explains this? Institutions that have researched this question, from universities to for-profit companies to the US military, have found that when the leaders are clear both about what they want and how they'll support the team, the organization performs better. 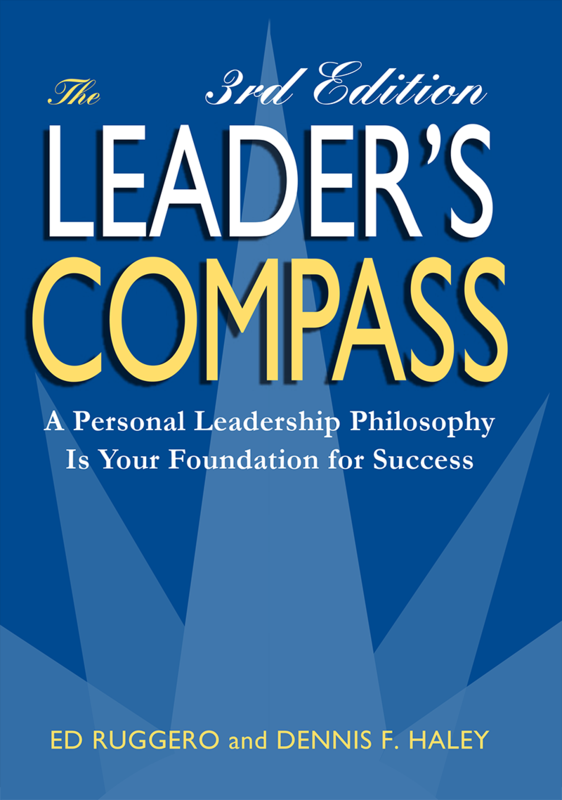 Find out how to write your leadership philosophy by ordering The Leader's Compass today. The Leader's Compass, by Ed Ruggero and Dennis F. Haley, is the story of how one manager developed his personal statement on what he expects from his team and from himself.